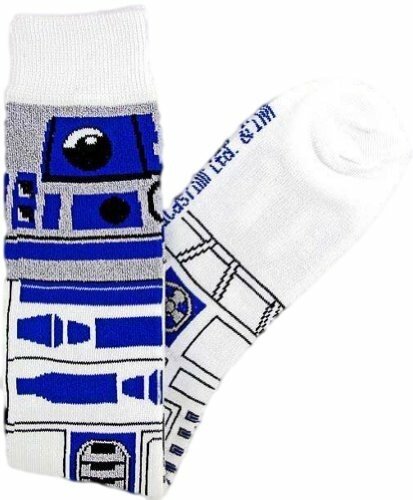 Socks don’t have to be just plain and boring! 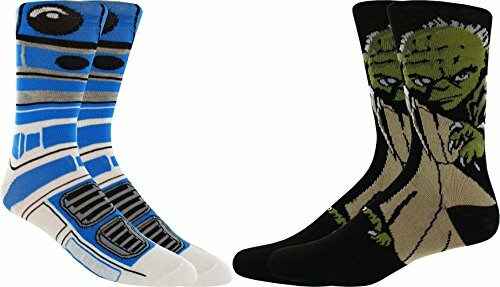 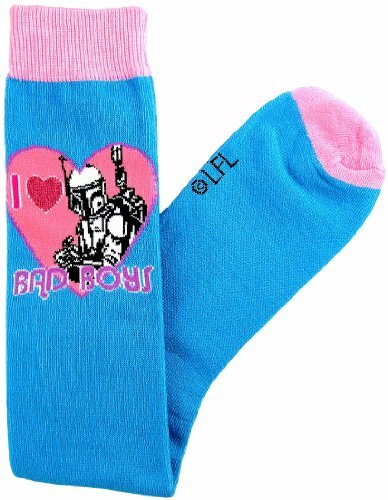 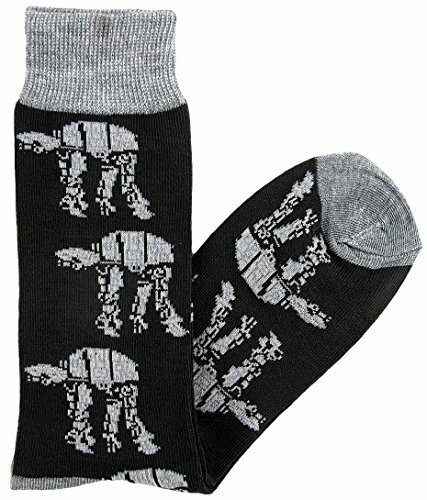 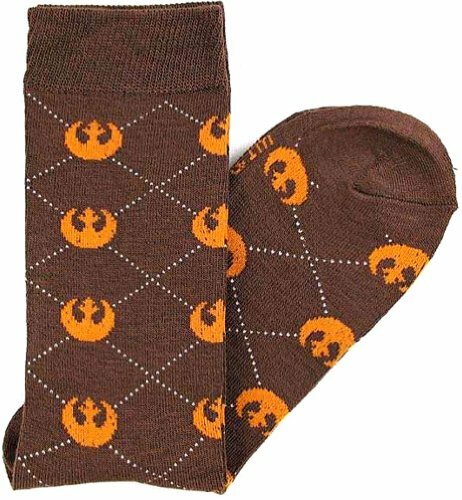 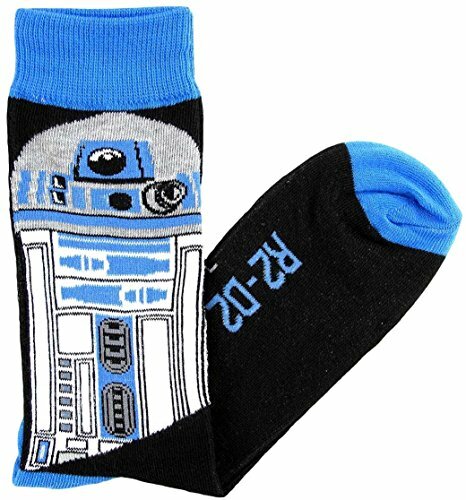 Spice up your own wardrobe with some of these great Star Wars themed socks for men, women, and children. 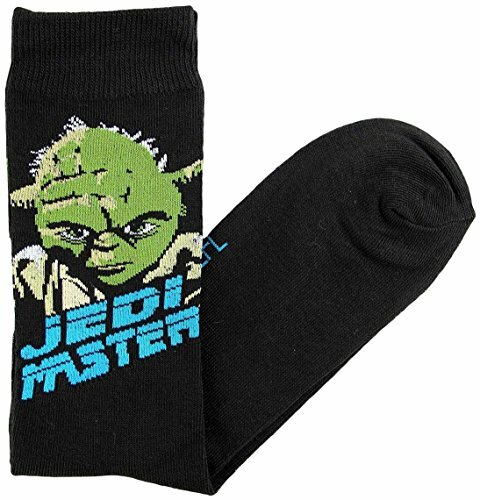 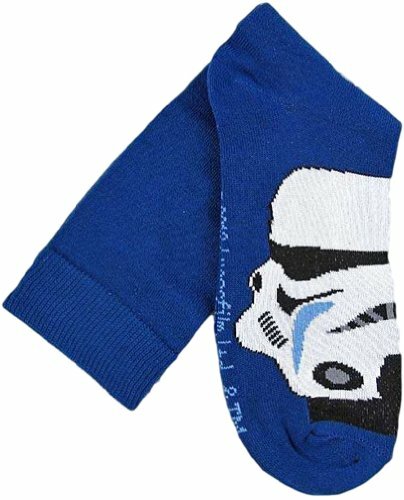 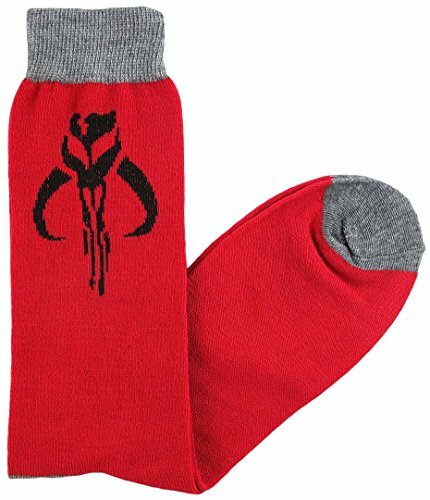 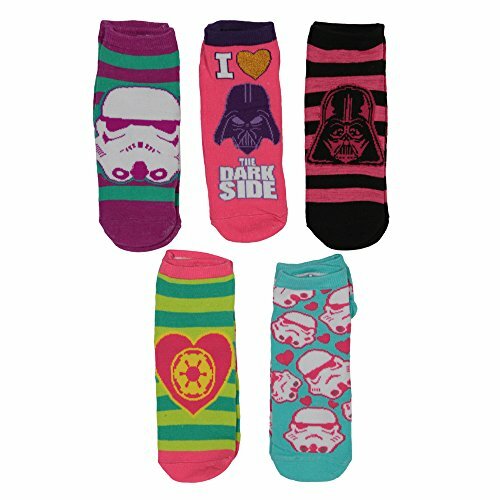 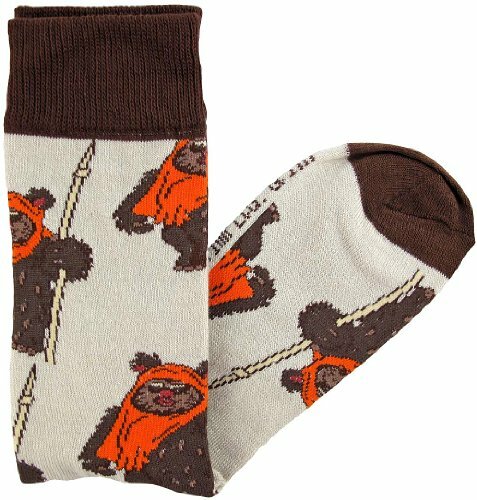 Star Wars fans of all ages can show their love of the Star Wars saga with any of these cool Star Wars socks. 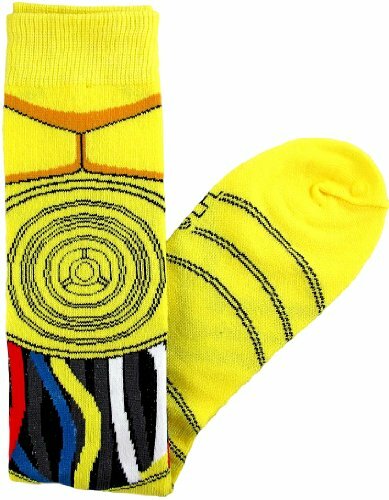 There are plenty of socks inspired by your favorite Star Wars characters, logos, and vehicles. 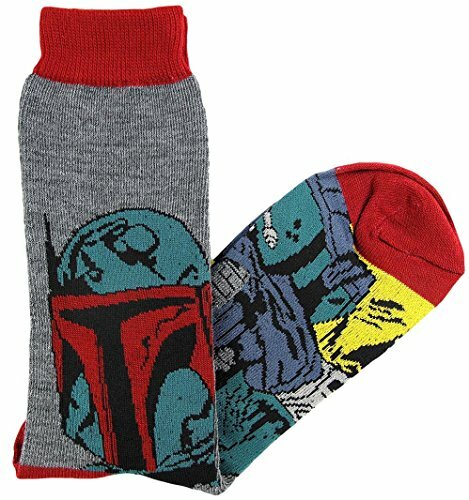 My only complaint is that I can’t find any Star Wars socks with Jawas on them. 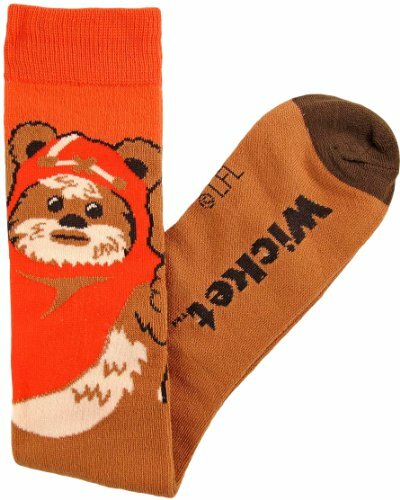 There are plenty of stormtroopers, droids, ewoks, main characters and villains represented, but no Jawas! 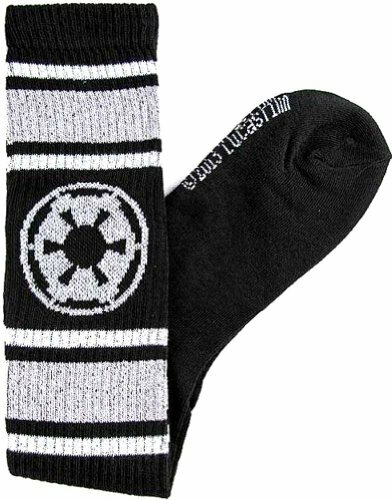 Socks aren’t only great items for yourself, but also make great gift ideas. 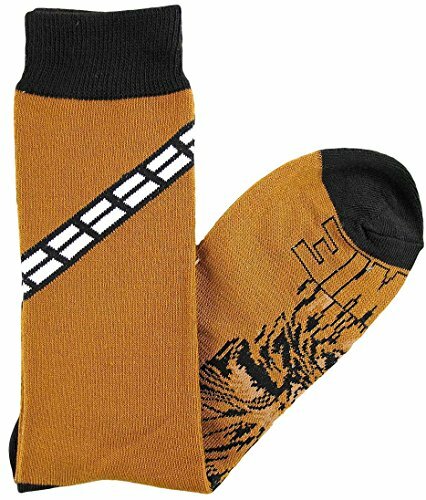 If you know a Star Wars fan, then you can include a pair of Star Wars themed socks in a Star Wars themed gift basket or gift set. 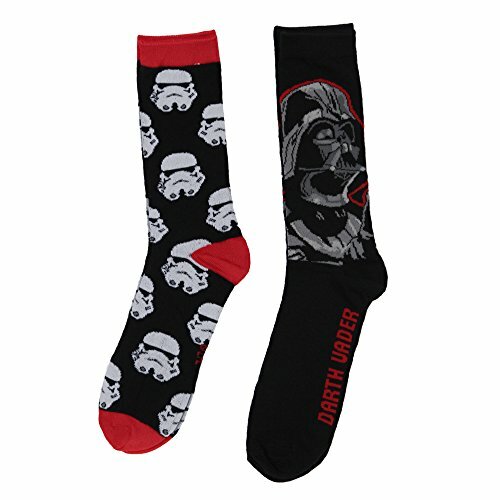 Father’s Day is approaching and a pair of socks for a Star Wars lover can be stuffed into a Star Wars inspired Coffee Mug to get your started building that perfect Father’s Day gift bundle for a Star Wars loving Dad. 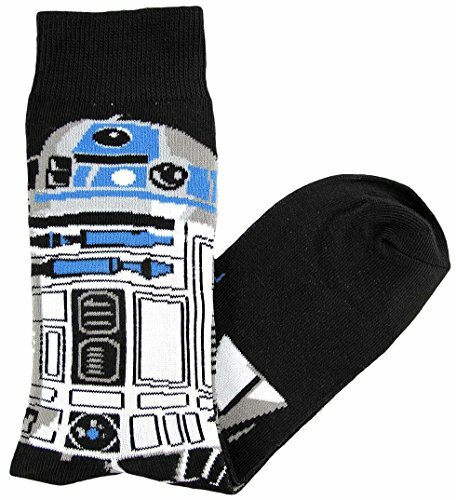 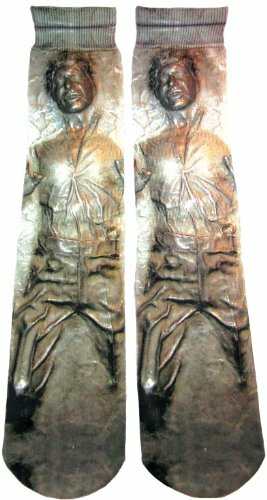 Socks are also inexpensive and great ideas for Christmas stocking stuffers, Easter Basket fillers for Star Wars Easter Ideas, or also can be used for Secret Santa gift exchanges. 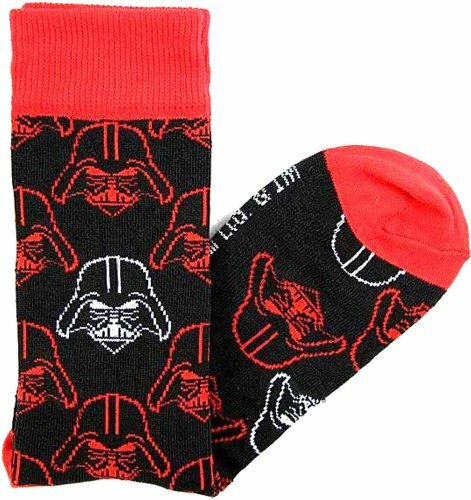 Add in a Star Wars jigsaw puzzle and you’ve already got the beginnings of a great care package to mail a Star Wars loving student, because all college kids can use more awesome comfy Star Wars socks! 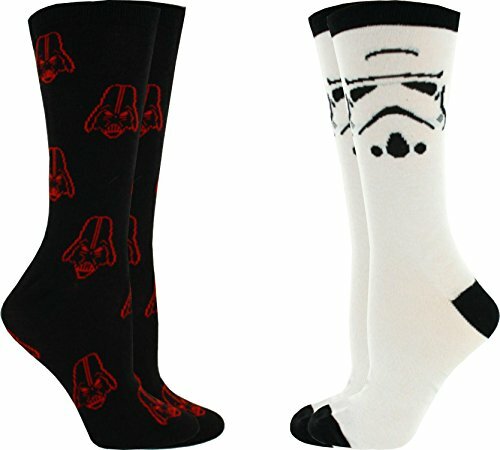 Hopefully you’ve found a great pair of Star Wars socks from this bumper selection today. 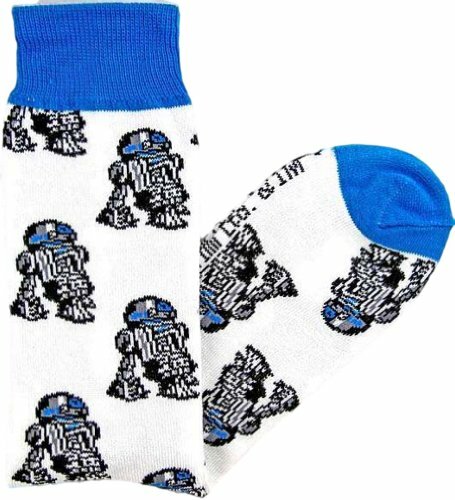 If you have a geeky themed gift to buy, give us a few details and we’ll go hunt down some fabulous gift ideas for you. 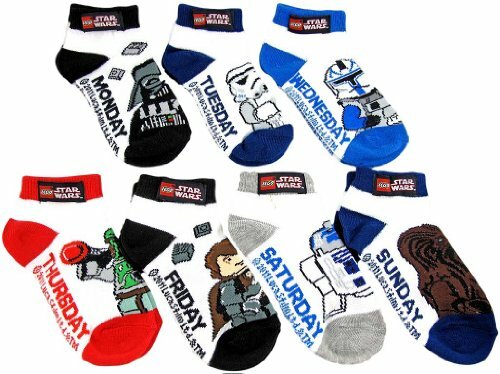 But in the meantime, don’t forget to check out our other fantastic Star Wars gift ideas posts.